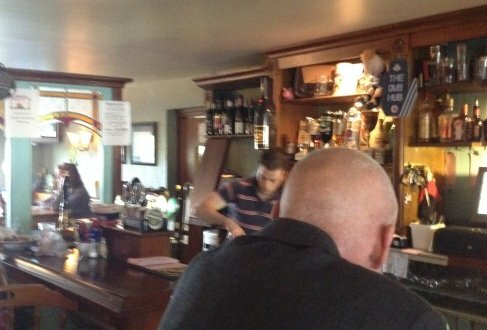 Although Sneem is a small village there are plenty of great places to eat and drink. 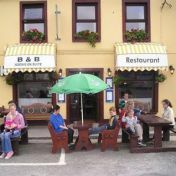 You can choose from the two big hotels, The Sneem Hotel and Parknasilla or stroll through the village enjoying the Irish pub atmosphere in one of the many "locals". 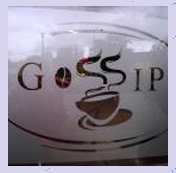 As well as the Hotels and pubs there is also a choice of tea rooms and cafes. There are also a few places out side of the village that are of note so I have mentioned these as well. If you are looking for takeaway food then there are several choices, some of the pubs (like D O'Sheas) will accept take away orders for any meal on the menu, also some of the cafes and tea rooms will do the same, don't be afraid to ask. 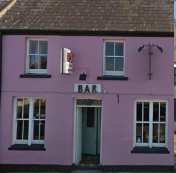 The pub is located in the North square and unmissable as it is presently painted bright pink, its often used as a landmark. O'Sheas offers a relaxed traditional Irish pub experience, on a cold day get there early and sit in front of the open peat fire. Food is servered from 12:00 through to 21:00 and there is a specials menu (blackboard) as well as the standard menu. The Sneem Hotel restaurant is open to guests and visitors alike for breakfast, lunch and dinner, offering a varied menu reflecting both Irish and international cuisine. 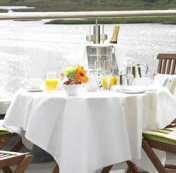 Inspiring views of the sea and mountain scenery of the Ring of Kerry compliment any meal at the Sneem Hotel restaurant. 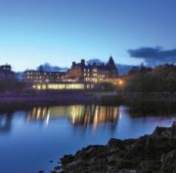 After any meal the grounds around the hotel offer an excellent opportunity for a walk along the river. The Parknasilla restaurant and bars are open to non residents. Enjoy fine dining, afternoon tea or bar meals in the most elegant surroundings with incredible views of Kenmare Bay and Caha mountains. 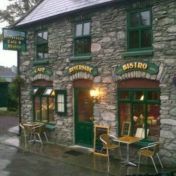 The cafe is a new addition to Sneem having opened summer 2012. It can be found in the north square just next door to O'Sheas. They offer a variety of good food, including toasted sandwiches, great cakes and a good selection of Pizzas. I must not forget to mention the good old fashioned sweets on sale too. 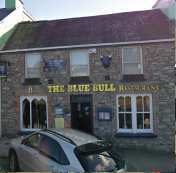 The Blue Bull is located in South Square and is a traditional pub run by the O'Carrols family. Its a fine place to sample Sneems famous black pudding, which is always on the menu, and you will be in good company as its Andrew Lloyd Webbers favorite Irish pub. 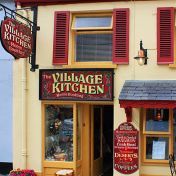 Barbara O'Conner offers a wide range of home cooked food at the Village Kitchen, from traditional Irish breakfast to locally caught seafood. The Village Kitchen is a family run cafe with over 25 years of tradition behind it. The OSullivan family have been running the Sacre Coeur for over a quarter of a century. 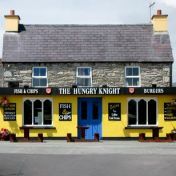 The Hungry Knight is located in North Square and offers a take away fish and chip food service. Fish is locally caught so check the board for the latest catch. 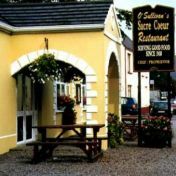 The Stone House is located in Sneem's North Square, and offers dining from its cosy restaurant and accomidation. Known for its close connections with local sea fishing and boat men and long service to fishermen who stay here year after year. Many fishing parties stay here enjoying deep sea angling trips arranged on request with a local boatman who know the local waters. The Riverside Tearooms are located in a fantastic position next to the river, just over the bridge towards North Square. The traditionaal tearooms have been run by the Breen family for many years and enjoy a reputation for fine food. Although this web site is mainly intended to be about my house and the nature arround it I feel I have to share the news that there is no where nicer to visit than Sneem. Note I am in no way connected to any of the businesses mentioned on this site.